From the diary of a fashion designer : Chiffons , means Sensual ! It's raining cats and dogs outside but at home it is raining hot tea and pakodas ! Sipping my tea , enjoying the peacocks dance through my glass door , this is what I call luxury ! Time , is the most precious thing in life and how ironical , the so called richest people have the least of it ! A red floral chiffon kurta with dori embroidery. In this wet and humid weather , you want the comfort of a light weight fabric which also dries very quickly and one such option is a 'mixed chiffon' fabric. 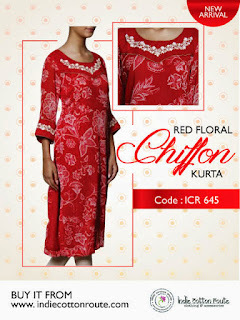 Chiffon comes from the French word which means a cloth or rag. 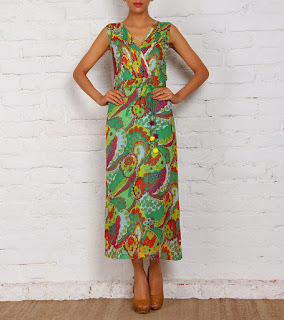 Chiffon was initially made from silk thread but after the introduction of polyester in 1958 , the polyester varieties of chiffon became very popular due to its durability and economical viability. 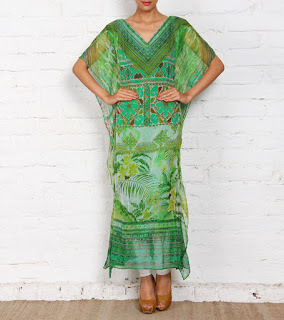 A green printed chiffon kaftan. Chiffon is a difficult fabric to work with because of it's slippery texture but has excellent drapability and its transparency gives the garment a touch of feminity. 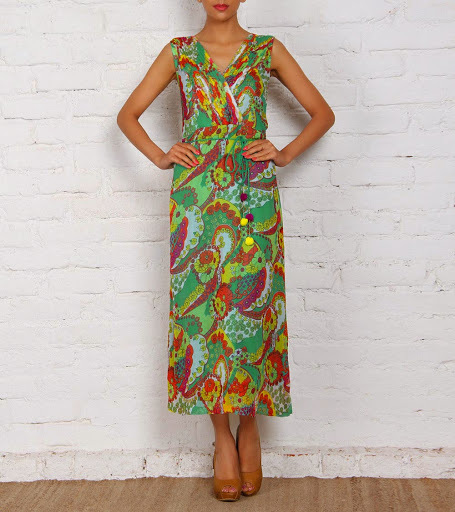 It is one fabric which can make you look slim without clinging to your body. It also gives the garment a very rich look. 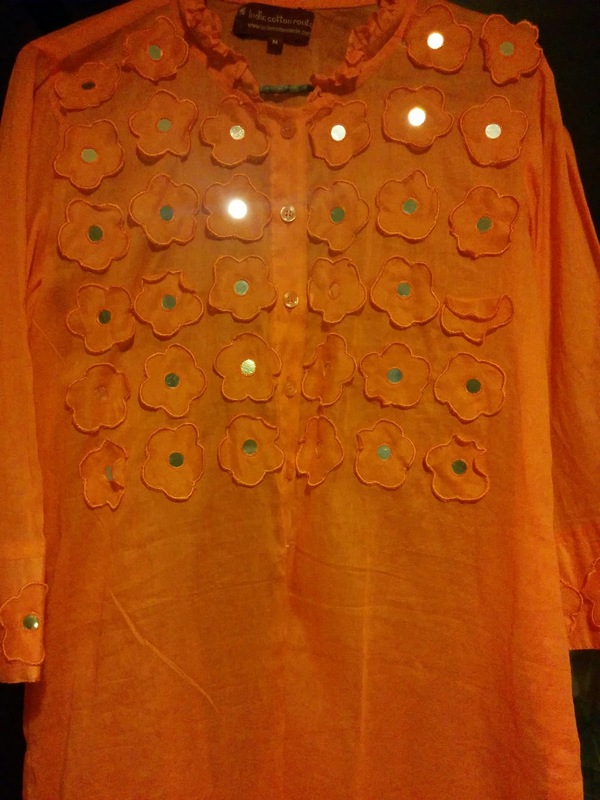 A sunflower printed chiffon kurta with needle & thread hand embroidery on neck and sleeves. One Indian actress who made Chiffon sarees and suits very popular was Sridevi in Chandni , Mr. India etc . She looked sensual in her songs wearing chiffons ! Chiffons come in plain colours , floral prints and ombre dyed too. It is best to hand wash chiffons in cold water . So girls , charm your men with your mixed chiffon fabrics because its raining outside and you can have some activity at home !